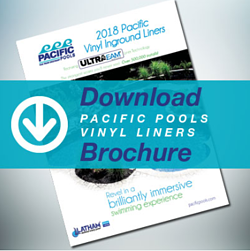 Pacific Pools vinyl liners not only give pools a new life, but their full list of additional features and array of designs give pools an entirely new look as well. Better still, Latham's Ultra-Seam technology means you're getting the strongest seams possible in a liner, and they're virtually invisible. See for yourself. To get this brochure for yourself, fill out the form to the right and it will be sent direct to your inbox. After reading it, an automatic safety cover might jump to the top of your list!